The most visible recent change in the range of mammals found in Vanhankaupunginlahti has been the establishment of a permanent roe deer population. Roe deer were first sighted in the area in 2003, and in 2011 the area was frequented by a pair of roe deer, which bore a calf. Now there are several calf-bearing females and a total of at least a dozen deer living in the area. Some of the deer have grown quite fearless over the years, as a result of feeding in the open field. The deer spend most of their time on the eastern shore of the bay, between Fastholma and Hakalanniemi. In the winter the deer trot on the ice and visit Kivinokka to feed on the area’s bilberry sprigs. Another change that has delighted nature-lovers has been the increasingly regular appearance of the Eurasian otter in Vanhankaupunginlahti. The presence of the otter is easiest to notice in the winter near places where the water remains unfrozen, especially at the Vanhankaupunginkoski rapids, where the otters like to fish. The otter itself is rarely seen in the daylight, but the shores of the rapids are often covered in their paw prints. A litter of young otters was first sighted in the area in winter 2014–15. The Eurasian otter is a hermit that roams a large area, looking for fishing spots. The otters of Vanhankaupunginlahti most likely roam in the Vantaanjoki river basin. The brown hare is a common sight in the fields of Viikki. Rabbits are found near habitation in Arabianranta and the Viikki industrial area. The blue hare is no longer found in the area. 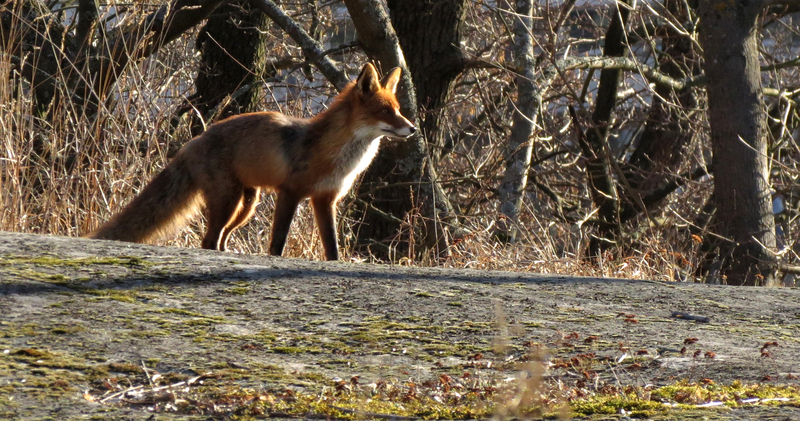 If you walk around Viikki in the morning or evening twilight, you might also run into a red fox. In the winter, foxes often roam the ice. The European badger is difficult to spot, due to being nocturnal. There is a large badger burrow, or sett, in Mäyrämetsä (‘Badger Forest’), which has remained in place since the 1960s. In the past, elk were also sometimes sighted in Viikki during the summer. Even as recently as in the early 2000s, a female elk with a calf stayed among the reeds all summer. White-tailed deer have also given birth to calves in Viikki, most recently in 2006. Nowadays these two species are only occasional visitors to the area. The area’s most common small predators are the stoat and the least weasel. These fleet-footed animals hunt moles, bird chicks and insects. Their prevalence varies from year to year; in years when there are few moles, the numbers of stoats and weasels decrease as well. Stoats are a regular sight in the area, and in the winter their tracks are even more common. Another small predator found in Vanhankaupunginlahti is the European pine marten. In recent years, pine martens have been sighted particularly in the forests on the eastern shore of the bay. The pine marten occasionally raids large birdhouses for stock pigeons, and sometimes even tawny owl chicks. The area’s most common small mammals are the bank vole, the wood mouse, the harvest mouse and the European common shrew. These are all found in large numbers in the area, though they are difficult to distinguish from one another at a glance. The ditches intersecting the area’s fields are also home to European water voles, the burrows of which are easy to spot, as well as Eurasian water shrews, which swim in the ditch water. European hedgehogs are fairly few in number in Vanhankaupunginlahti. Another species that has grown rarer in recent years is the muskrat. The varying terrain of Vanhankaupunginlahti provides good living conditions for bats. It’s no surprise then that the area is home to a number of bat species: the northern bat, the Daubenton’s bat, the grey long-eared bat, the whiskered bat, as well as the endangered common pipistrelle, which is found in Kivinokka. During the day, the bats hide in building attics and the holes of old trees in the forests surrounding the bay. Come nightfall, they set out to hunt above the waters and reed beds, as well as in the old forests. During the winter, the bats hibernate in building basements. The grey seal, though common in the coastal waters of Helsinki, has not yet been sighted in the shallow Vanhankaupunginlahti. Dog-owners must remember to keep their pets on a lead. In 2015, one pet dog who had caught a scent had to be dug out of a badger set with the assistance of the local fire department. In 2011, a pack of dogs that had been let off their leads mauled a female roe deer out on the ice. 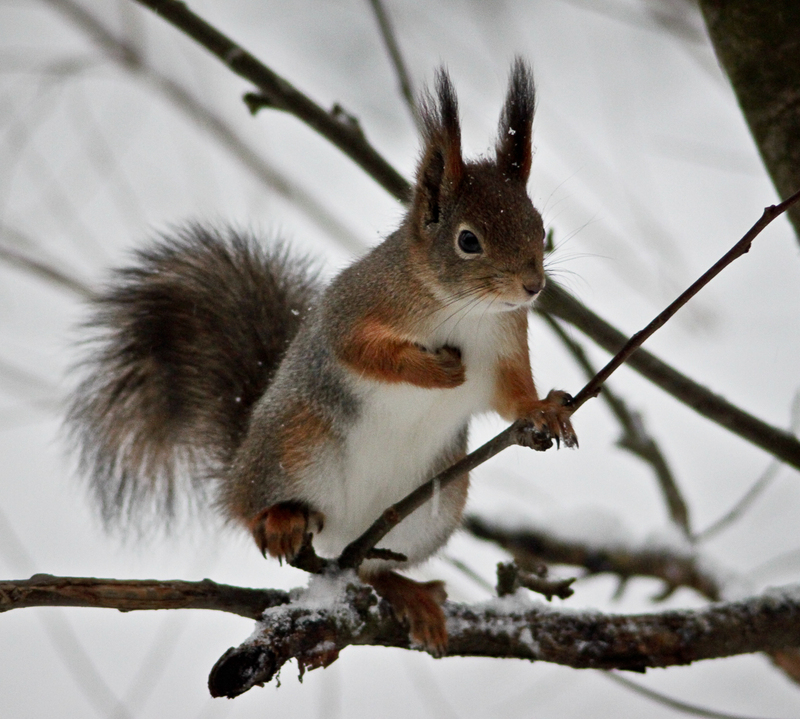 Records of animal sightings made in Vanhankaupunginlahti are available on the Kuusiluoto website (in Finnish).